At Green Solar Solutions we use only the best solar products. 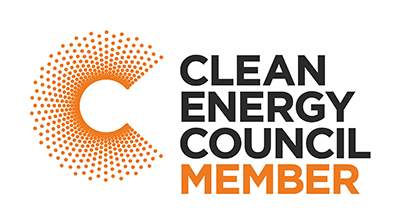 We offer solar power systems, solar hot water, pool and spa heating, home sustainability education and energy audits for residential and business. Our solar products are backed significant installation and performance warranties for peace of mind. These are quality products from quality manufactures. So contact us today to learn more or for your free energy assessment and quote. TrinaSmart modules incorporate innovative power electronics from Tigo Energy to achieve module-level diagnostics, maximum energy harvest through module level DC power optimization, and reduction of arc, fire and safety hazards. Integration of the module optimizer into the junction-box enables patented Smart Curve technology, which allows up to 30% longer strings and significant balance-of-system (BOS) savings. Developed with advances in multicrystalline cell technology, Trina Solar's new Honey cells deliver higher efficiencies and world-record-setting power output. These results firmly establish Honey panels as best in their class. Combined with Trina Solar's standard 10 year product and 25 year linear power output warranties, Honey is one investment that lets you rest easy and enjoy the sweet returns. Using reliable and carefully selected components that are tested at the Trina Solar Center of Excellence, this panel comes with a 25-year performance guarantee of 80% power production. Designed by Australians, for Australian Conditions. The Opal Solar Panel was introduced in 2014, backed by one of the largest solar companies in Australia. 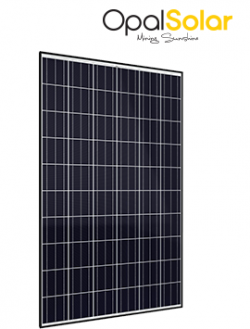 Opal Solar has quickly become one of the leading panels sold in Australia. Opal Solar only work with Tier 1 listed OEM solar companies on the NYSE/Nasdaq to manufacture the Opal Solar Range. Back to back warranty agreements are in place to provide piece of mind. 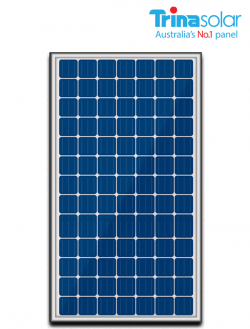 Canadian Solar modules can be used for on-grid solar applications. Their meticulous design and production techniques ensure a high yield, long term performance for every module produced. 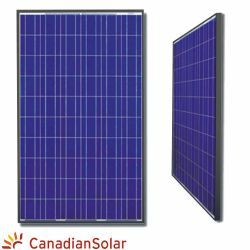 Canadian Solars’ rigorous quality control and in-house testing facilities guarantee their modules meet the highest quality standards possible. 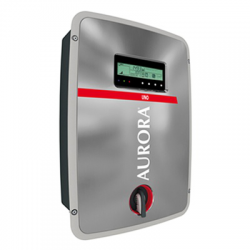 The Apricus solar hot water system is a major industry leader as a result of their continuous research and development. The Apricus evacuated tube technology system outperforms flat-plate solar and carries the longest warranties available in the market. Apricus collectors can perform well even in freezing conditions thanks to thick glass wool insulation and the vacuum insulated evacuated tubes. This is in contrast to flat plate collectors that perform poorly in cold conditions. Apricus includes a number of electric and gas boosted systems. Packed full of pioneering technology: Thanks to the new Optiflex technology with two MPP inputs and its very broad input voltage range, the three-phase Sunny Tripower is suited to almost any module configuration. The Sunny Tripower meets all the requirements for reactive power supply, utility interaction management and grid support, thus making a reliable contribution to grid management. 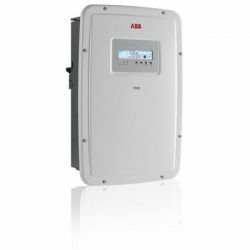 This three-phase commercial inverter offers more flexibility and control to installers who have large installations with varying aspects or orientations. The dual input section containing two, independent Maximum Power Point Tracking (MPPT), allows optimal energy harvesting from two sub-arrays oriented in different directions. The TRIO features a high speed and precise MPPT algorithm for real power tracking and improved energy harvesting. 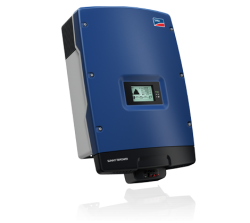 A new look inverter but packed with Power-One’s proven high performing technology. The new look inverter has new features including a special built-in heat sink compartment and front panel display system. The smallest of Power-One’s outdoor range, these new products are the right size for the average rooftop installation. This rugged outdoor inverter has been designed as a completely sealed unit to withstand the harshest environmental conditions. 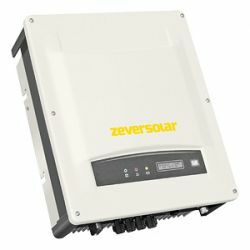 ZeverSolar single-phase string inverters are one of the most cost-effective inverters on the market. They perfectly match the needs of most residential applications and offer the maximum energy yield in a wide range of locations and situations around the world, while being easy to use and install.